Early in 1778, it became obvious for the British that they were on the brink of loosing control of the northern colonies. The surrender of Burgoyne in New York was the last obstacle between France and the Continental army of George Washington. 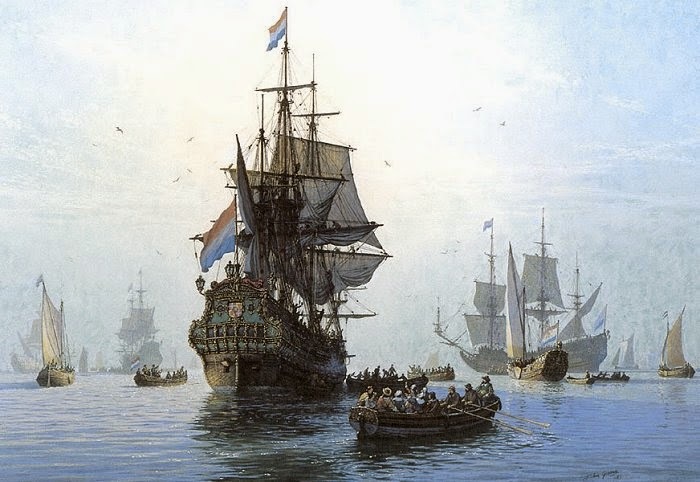 France immediately sent a fleet in America, thus recognizing the new American Government. By doing so, the British had one more enemy to deal with. 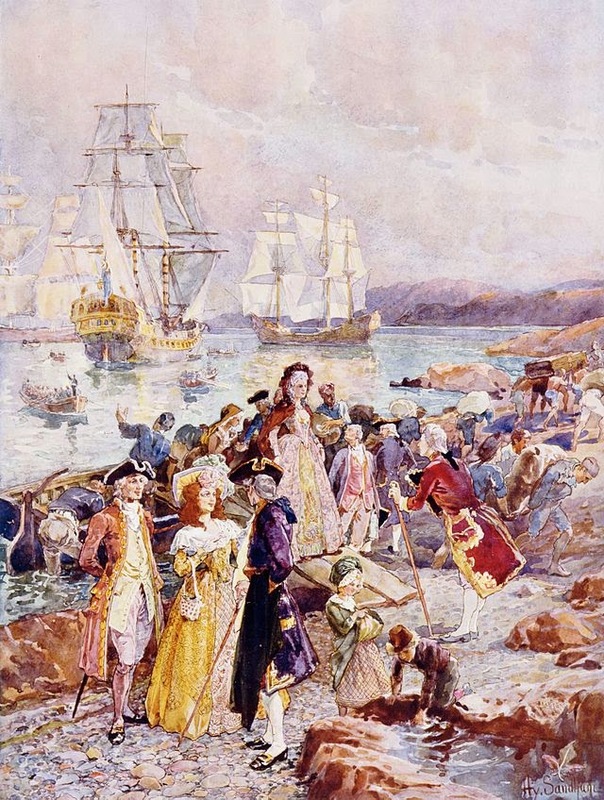 Since Britain needed part of its army elsewhere than in America, the decision was made to abandon the North and concentrate their efforts in the South where loyalist communities could still be salvaged. It meant also that the British troops from the North would be asked to travel down to Pensacola, Florida, accompanied by Provincial and German regiments. This massive removal of people came to be known as The Big Runaway: an enormous logistical undertaking, to say the least. It is hard to understand how the British high command was planning to rule the entire country from a remote and unpopulated area in Florida. 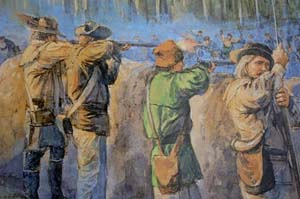 The civilian population of Pensacola only reached 300 during the Revolution. Britain expected to kill two birds with the same stone. 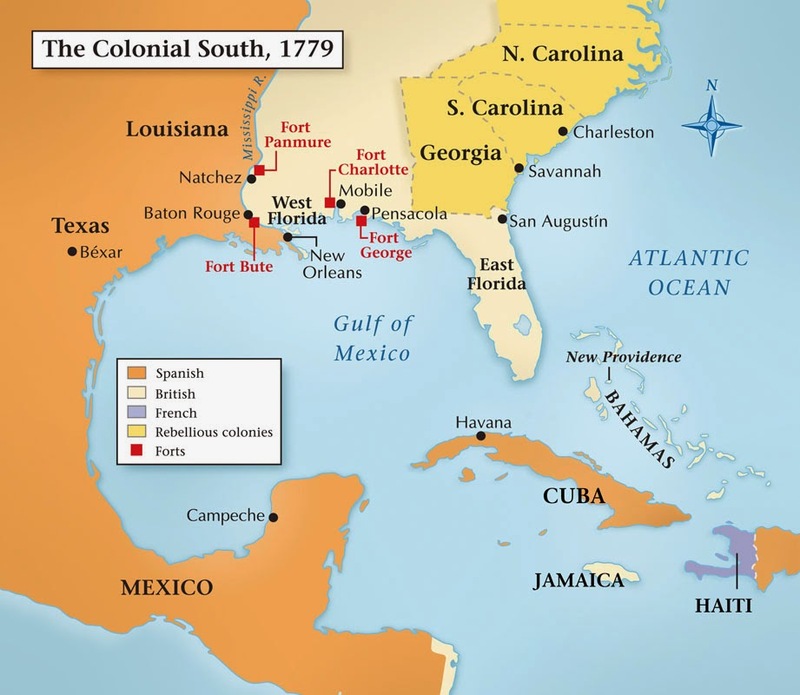 They believed that a strong presence in the South would prevent an invasion of their southern colonies by Spain, while maintaining control and protection over their loyal communities. The fall of Fort George in 1781 would prove that Britain didn’t have enough resources to fight so many enemies from all sides, even those arriving from the sea. 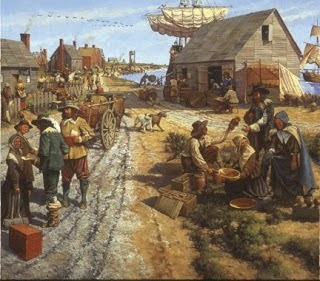 « A full 10 000 British, German and Provincial troops would be leaving New York in five major transfers: a small reinforcement of the garrison of Nova Scotia, another to the Island of New Providence, a massive reinforcement to the West Indies, an invasion force of the Province of Georgia, and three regiments to the far off garrison of Pensacola, West Florida. These three regiments were the 3rd Waldeck Regiment, the Maryland Loyalists and the Pennsylvania Loyalists. This dispersal of the British army from New York effectively drained away any offensive capability from Sir Henry CLINTON, who had replaced Sir William HOWE as commander in chief. These instructions mostly came from England, which now had to deal with a much wider war with France and the possibility of hostilities with Spain. Far flung territories now became vulnerable due to the large French Navy, and previously safe garrisons instantly became threatened. So massive was the British withdrawal from New York that many Rebel spies in New York City confidently reported the entire city was being evacuated ». NOTE. Some say that they had to mobilize up to 250 ships to assure safe passage to everyone. By retrieving its army from the North, Britain was, in fact, capitulating, only to regroup in a remote area apparently safe from the enemy attacks. 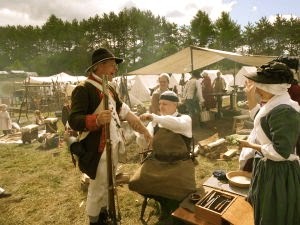 While the British army was downsizing, the Continental army was rather upsizing. The British thought that, with time, they could reorganize, strike with force and increase their control over the southern part of the country. They would find out that their decision to run down south was nothing more than a temporary hideout: they had painted themselves in the corner. Not all of the 10 000 troops were sent to Pensacola. The majority was sent to other southern areas like the West Indies and Georgia. The following regiments are those who arrived in January 1779 in Pensacola and stayed at that location until May 1781. Sometimes in 1780 or 1781, another Provincial regiment, the West Florida Royal Foresters (WFRF), joined them. This regiment was raised in Florida. It was a cavalry regiment. Philip Long was a member of that Provincial regiment. Besides the WFRF, the other regiments were already close to each other. The Waldeck arrived in New York on the 19th of October 1776. From that date to December 1778, the Waldeck soldiers accompanied the British in battles mostly around New York and New Jersey. So, the Waldeck regiment never made it to Pennsylvania. The Waldeck regiment was accompanying the Pennsylvania Loyalists when the supply train was attacked by the rear during the summer of 1778. The Waldeck was also suffering from defeats in 1777 where over one hundred of its soldiers were captured. One of them was Henrich Lange from Wirmighausen. Major Campbell said that he had never seen such a harsh environment when he set foot in Pensacola. He had been sent there to support the Loyalist communities of the South. He found desolation, instead. For the next two years, the soldiers became carpenters: they built Fort George. From time to time, Major Campbell’s troops would be sent at different locations to reinforce the Loyalist communities, but they were defeated in almost every battle. When Spain declared war against Britain, Major Campbell was not made aware of it. In March on 1781, the Spaniards surrounded Fort George. The siege lasted almost two months and ended when a horrific explosion of the powder magazine destroyed the fort. The impact of Campbell’s surrender would prove to be just as decisive as the surrender of Burgoyne in New York, three years earlier. The British army was agonizing. 5. Was Philipp Lange aboard one of these ships during the Big Runaway? From Hetrina, we know that Philipp Lange deserted on the 28th of August 1778. Even though Bruce E. Burgoyne assumed that he was taken prisoner in 1777, Philipp Lange was not captured in 1777. I have the muster rolls of the Waldeck regiment, company of Captain Alberti, from 1776 to June 1778. Philipp is listed on both muster rolls as a fit soldier. Burgoyne did his research in Hetrina and these two muster rolls were not and are still not stored at the Marburg Archives in Germany. This is the reason why Burgoyne was compelled to make such an assumption in the absence of a proper documentation. Recently, a genealogist and historian from Marburg, verified this fact on my behalf. His search was also very helpful in other aspects of Philipp Lange’s military file. 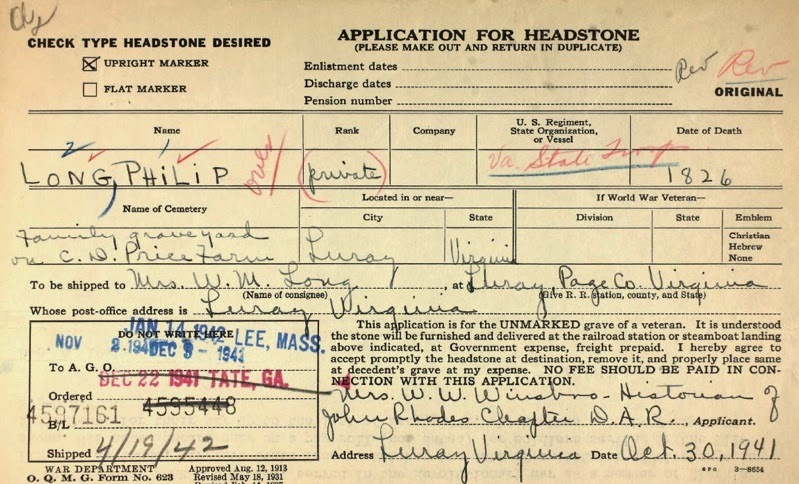 In all the many documents scrutinized by this professional genealogist, the name Philipp Henrich Lange does not exist like Burgoyne wrote in his book. Everywhere, the name Philipp Lange is used to refer to this Waldecker from Wirmighausen. Also, Burgoyne said that Philipp was born in Wirmighausen. Philipp lived in Wirmighausen at the time of his enlistment, but he was not born there. 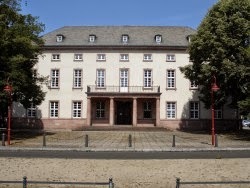 The Evangelical authorities of the Adorf Church in Wirmighausen didn’t find a birth certificate for Philipp Lange, and none for Henrich Lange either. In one of his books, Burgoyne, very often, made various assumptions. He also went as far as to supply a list of 100 captured soldiers without the proper documentation. He was honest enough, though, to say that he was « assuming » that those Waldeck soldiers were POWs. Philipp Lange is part of this assumed list: In no time between 1776 and 1778, Philipp was made prisoner of war. 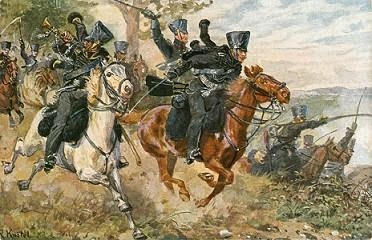 Consequently, it is a fact that Philipp Lange deserted from his regiment before The Big Runaway. In Hetrina, it is said that he deserted to the enemy. Put another way: he enlisted in a Continentals regiment. If he did, he must have used a completely different name, because he doesn’t appear on any Continental muster roll after that particular date. But, did he really desert to the enemy? The British troops arrived at Pensacola in January 1779. For this period of two and a half years, no muster roll has been found for the Provincial regiments. There are some for the Waldeck regiment, though: Philipp Lange doesn’t appear on them. A professional genealogist at the Marburg Archives has verified this fact in December 2014. Consequently, we don’t know if Philipp Lange was part of one of these Provincial regiments. We don’t know either when the WFRF arrived in Pensacola. It is then impossible to determine if Philipp Lange and Philip Long are one person or two distinct persons. One Philip Long is listed in Captain Joseph Bowman’s Company in Virginia. He did not desert to a Provincial regiment. We know that for a fact. So, where did Philip Long of the WFRF came from? After the magazine explosion at Fort George on May 8th, 1781, 83 soldiers deserted or managed to escape without being captured, including 22 of the WFRF regiment. (These numbers are from the report of Major Campbell himself). Philip Long was one of those so-called deserters or escapies. Others were not so lucky. 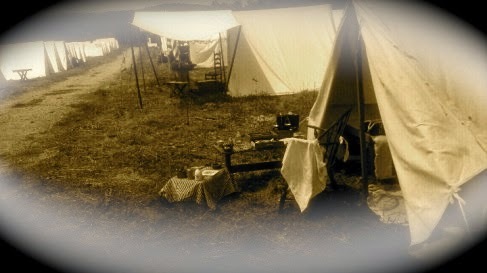 Over 1200 civilians and soldiers were made prisoners after Major Campbell surrendered on the 10th of May. Maybe those with a horse had a much better chance to escape. The Spaniards had been assaulting the fort for almost two months. It is even hard to believe that so many were able to escape. A few months after, Philip Long enlisted in the KAR in the area of North Carolina. Was he the same as the one from the WFRF? How is it possible that there were more than one Philip Long in that area, and both being Provincial soldiers? On top of it all, where did Philip Long from the WFRF go after he escaped from Fort George, if he’s not the same as the one who enlisted in the KAR? Only two soldiers named Philip Long received a military pension from the American government for their participation in the ARW: one from Virginia and the other one from Pennsylvania. After 1781, there are no traces of Philipp Lange or Philip Long except the one enlisted in the KAR. In 1778, we loose track of Philipp Lange in New York and in 1781 we discover a Provincial soldier by the name of Philip Long in Pensacola, Florida, the latter could be the same as the one who deserted to the King’s American Regiment (KAR) that same year. My ancestor Philip Long was part of the KAR: that’s an undisputed fact. The KAR is also a cavalry regiment. Now, that’s a lot of coincidences to deal with! That’s more than enough to raise the following questions and hypotheses about Philipp Lange’s whereabouts from 1778 to 1781. (1) If, in fact, Philipp Lange joined the Continentals in 1778, it seems that he didn’t stay long on their side, at least not long enough to get his name on a Continental muster roll. (2) Did he became a regular citizen in Pennsylvania after his desertion, taking another name like so many did? That’s a definite possibility. (3) But, if this is the case, who is that Philip Long who appeared in 1781 in Pensacola, Florida, as a soldier in a Provincial cavalry regiment (WFRF)? (4) Is he the same soldier as Philip Long of the KAR? This is a likely possibility. (5) Where is that soldier by the name of Philip Long who went through the whole war from 1775 to 1783, like he said once in Canada? It is difficult to explain why there would be no trace of my ancestor between 1775 and 1781 when he said to have been part of the Revolution starting in 1775. (6) Could Philip Long of the WFRF be a loyalist from Florida? In any case, he is not listed in our modern genealogical databases. That Philip Long went from the WFRF to the KAR is not at all farfetched: both were cavalry and Provincial regiments. (7) Could Philipp Lange have been part of the Pennsylvania Loyalists before embarking for Pensacola? That’s also a reasonable explanation. Since nobody has a muster roll for the Provincial regiments stationed at Pensacola between 1779 and 1781, the question remains unanswered, though. (8) Because my ancestor said that he was part of the ARW from the start, I believe that Philipp Lange became Philip Long when he enlisted in a Provincial regiment. (9) Philip Long went from one Provincial regiment to the next in a few months period starting in 1781. He could just as well have switched regiments between 1778 and 1781. (10) I tend to believe now that Philip Long, my ancestor, had an unusual military file because he became a cavalry soldier and that these cavalry soldiers were in great demand and better paid than the foot soldiers. They were scouts and couriers. They were an absolute necessity to any regiment.Major George Washington was even offering 200$ for the capture of a dragoon with his horse. (11) It is somewhat farfetched to believe that he stayed a long time on the Continental side starting in Pennsylvania, go down South after a while, and switch sides again in Florida. in fact, desert to a Provincial regiment. How could a German mercenary join a Provincial regiment? Are there other similar cases reported during the ARW? Most of the desertions were real ones: that is, those deserters decided to stay in America and went into hiding during the remainder of the ARW. Some of them joined the Continentals and fought against what was, a few days earlier, their home regiment. Those cases are well known, since close to 7 000 German mercenaries deserted during the ARW. Moreover, some German soldiers who had deserted came back to their original regiment. What is labeled, in Hetrina, as a desertion was, in fact, a temporary or unexplained absence. 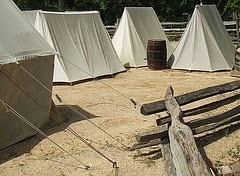 As the war went on, everybody realized that there was no manpower to spare: deserters from the opposite side were more or less accepted along side the regular soldiers. On each side, desertion was causing headaches to the officers. The German officers could not apply severe punishments to their deserters like they were used to. They would make significant efforts to find them, though. The desertions became so frequent that they couldn’t keep track of all of them. They had their hands full in trying to bring back their POWs who were being moved around from one location to the next. Desertion was easy, but hiding was very difficult for a German soldier, because of the language barrier. That’s why the Continentals brought the German prisoners in Pennsylvania, hoping they would take the opportunity to desert and stay in well-organized German communities: the ideal place for German soldiers to hide. That strategy gave significant results. 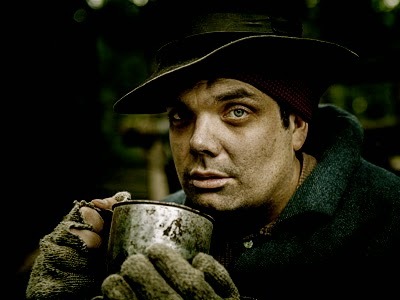 The day-to-day living conditions of the Waldeck soldiers were painful to endure. For instance, they didn’t get paid before December of 1778. That could be one of the reasons why more than 80 Waldeckers deserted in August of that year alone. Maybe some of them accepted better offers from Provincial regiments. Even the British had to fill their own ranks with Provincial soldiers. The British army was also struggling with desertions within its ranks. 9. Why would a soldier desert to another regiment? Don N. Hagist of the Journal of the American Revolution believes that many soldiers deserted many times, going from one side to the other, as soon as they had received their paycheck... They were simply taking advantage of manpower shortages on each side, especially on the British side. According to Hetrina, Philipp Lange deserted for the other side. That could be a hard fact, but it could be also a note by his Captain Alberti to signify that he had quit the regiment, without him knowing that he had become part of a Provincial regiment like the Pennsylvania Loyalists. That would explain why Philipp Lange could have been part of the Big Runaway in December 1778. Deserting to a Provincial regiment would have been acceptable to the German officers. Of course, this is only my personal opinion. Don N. Hagist has a deep knowledge of the British regiments that were involved in the ARW. He wrote to me about the reasons why a British regular soldier would desert to a Provincial regiment and illustrated clearly the difference between a legal and an illegal desertion. - they deserted from their regiment due to escape some sort of trouble (either they'd committed a minor crime like theft, gotten drunk and been absent for duty, or perceived that they were receiving unjust treatment from their officers); then they joined a loyalist regiment because they needed somewhere to go after deserting. Desertion doesn't always mean going to the other side, it simply means abandoning one's enlistment obligation. In this case, joining the loyalist regiment was illegal. - they were captured by the other side, escaped, and made their way back into British lines, only to find that their original regiment was no longer in the area. Many men did this, and were given the option of joining other regiments; for reasons that I don't know, some chose to join loyalist regiments. This was legal and accepted ». Like I wrote before, desertion came in all shapes and sizes. 10. How many German soldiers switched to a Provincial regiment? If you thought that this switch never happened during the ARW, you need to read about the following message sent on RootsWeb by John Merz. « To many people it seems like a paradox, to many others a clear cut case, but let me tell you, in 'The Old United Empire Loyalists List" in the Appendix B there are alone 54 names clearly identified as 'Discharged soldiers German troops', and in the SUPPLEMENTARY LIST, there are another 80 names with a similar description. Many of those men had been captured by the Americans, escaped and had joined Provincial Regiments like the KRRNY or the Butler's Rangers. Also Diemar's Hussars, or Emmerich's Corps, all of them in the service of the King. Some of those Hessians were forcibly enlisted by Colonel Butler, as correspondence between Governor Haldimand, Colonel Butler, and General Riedesel (see Haldimand Papers) has clearly established. In the case of Nikolaus Weitzel/Whitsell he was definitely entitled to free land in Upper Canada, because he came up from the States on the invitation of the Lt. Gov. Simcoe who had offered free land to anyone who wants to come to settle in this 'empty' province. You'll find his petition on microfilm C-2969 Vol.547 "W" Bdl., Misc., 1787-1794, Folio 63. Cheers. John Merz ». There could be more of these cases, since the Ontario Government refused to many Loyalists a land grant because they were not fulfilling the basic criteria of the definition of a Loyalist. I suspect that some of them were known German mercenaries who had joined a Provincial regiment before the end of the war in the hope of getting a land grant. The number of such refusals is quite astounding. Basically, desertion is an avoidance/attraction reaction. A soldier pulls himself away from an unbearable situation and is, at the same time, attracted to a more satisfying one. We all know about the risks involved in such a dilemma. We have to realize that these soldiers were fighting more than enemies on the battlefield. They were fighting against poverty, hunger, pain, stress, fears, homesickness and diseases, just to name a few. For many of them, desertion could appear as the magic wand. It is true that those who traded the battlefield for a farm were the luckiest ones. But, simply switching regiments was surely not the panacea to all their complaints. Most German soldiers who intended to desert did so while on American soil. Roughly, two-thirds of the German deserters chose to live in the USA and the other third preferred Canada. The majority of the deserters in Canada were from the Brunswick regiment garrisoned in the Quebec province. Most of them lived in French-Canadian families during the entire duration of the ARW. 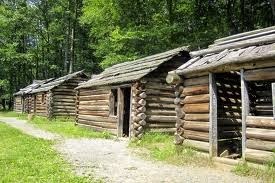 These homely living conditions obviously acted as an incentive to desertion. And some of them were quick to desert. For instance, another German mercenary named also Philipp Lange arrived in Quebec in August 1776. On October of the same year, he deserted and never came back. He died in Sorel in 1832 and was buried under the name of Philip Laing. He was born in Frankenthal, Germany, and was part of the Prince-Successor (Erbprinz) Regiment (ERB-5). 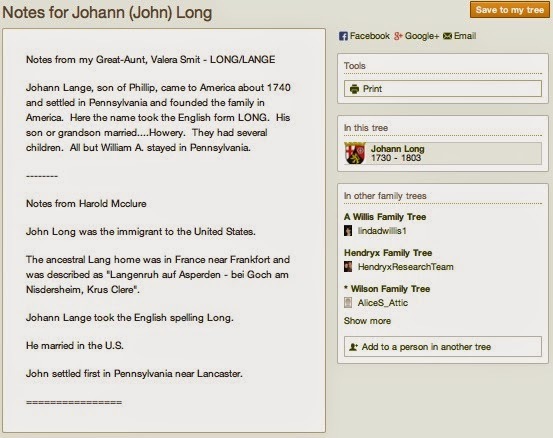 From another section of my blog, we know that Langes and Langs from Germany, for the most part, changed their family name to Long. The screen snapshot below is just one of many examples. My hypothesis states that, not only Philipp Lange changed his name to Philip Long, but he switched from a German regiment to a Loyalist regiment and ended up in the King’s American Regiment. More and more, I’m finding circumstancial evidences that support this hypothesis. Very soon, I’ll learn more about Philipp Lange’s military file in Germany. Up to now, the professional genealogist that I have hired in Marburg, Germany, has not been able to find the signature of Philipp at his enlistment in the army. I wasn’t expecting so, to be honest. He will be trying to find his birth certificate in January. But, my priority is to find a relative of Philipp Lange in Germany and have him get a DNA test. Almon, John and Pownall. The Remembrancer, Or Impartial Repository of Public Events, Volume 12, 1781, London. Burgoyne, Bruce E. (2008). The 3rd English-Waldeck Regiment in the American Revolution. Heritage Books. Westminster, Maryland. Burgoyne, Bruce E. (2008). Waldeck Soldiers of the American Revolutionary War. Heritage Books. Westminster, Maryland. Doyle, Robert C. (2010) . The Enemy in Our Hands. America’s Treatment of Our Prisoners of War from the Revolution the War on Terror. University Press of Kentucky. 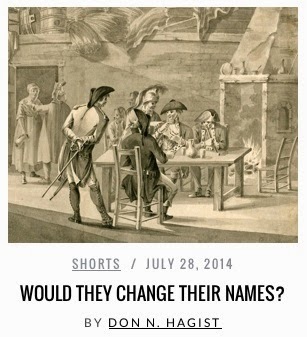 Hagist, Don N. (2014) Article : Would they change their names?, Journal of the American Revolution, July 28 2014. Wilhelmy, Jean-Pierre. Les mercenaires allemands au Québec 1776-1783, Éditions Septentrion, 1997, nouvelle édition 2009.